Our high quality wrapping paper is available in 4 classic music theme designs. Each unique design has 3 large sheets with 3 matching card tags per package. Each sheet is 19.5" X 27". 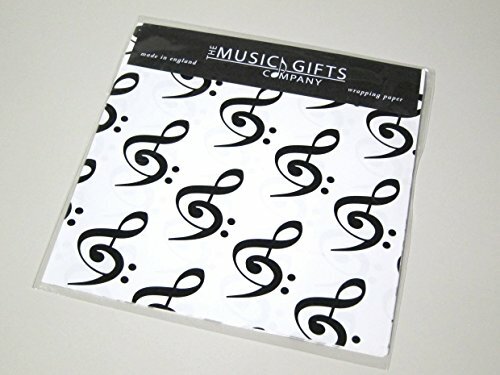 The Music Gifts Company has been making high quality music gifts for over 20 years providing the highest quality standards and designs. Their products are made in England but ship from right here in Florida. If you are not completely satisfied with your purchase, you can return it no questions asked for a 100% refund of your purchase price. If you have any questions about this product by The Music Company, contact us by completing and submitting the form below. If you are looking for a specif part number, please include it with your message.